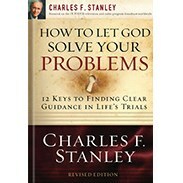 The Charles Stanley Life Principles Bible combines the timeless wisdom of Scripture with the foundational principles that have guided Dr. Stanley’s life for over 50 years. 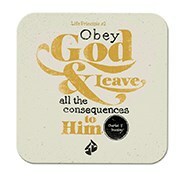 Discover what the Bible has to say about some of life's most important questions. You’ll also learn how the truths of Scripture lead to the abundant life God desires for you. 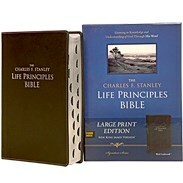 Having The Charles F. Stanley Life Principles Bible in your hands is like being a part of Dr. Stanley’s small group Bible study.